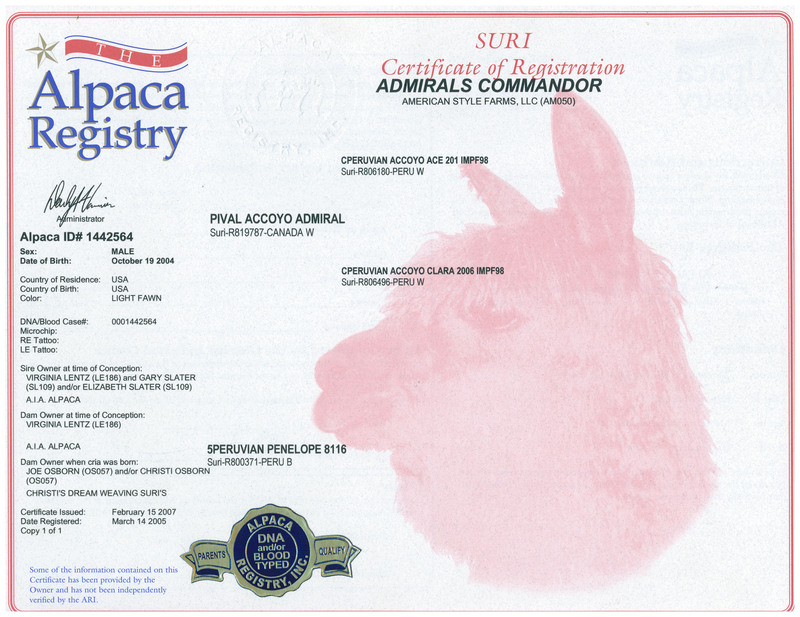 Co-Man is the son of Pival Accoyo AdmiralL by Accoyo Ace, two incredible herdsires. His Dam won 1st place in "Produce of Dam" at AOBA Nationals 2005. 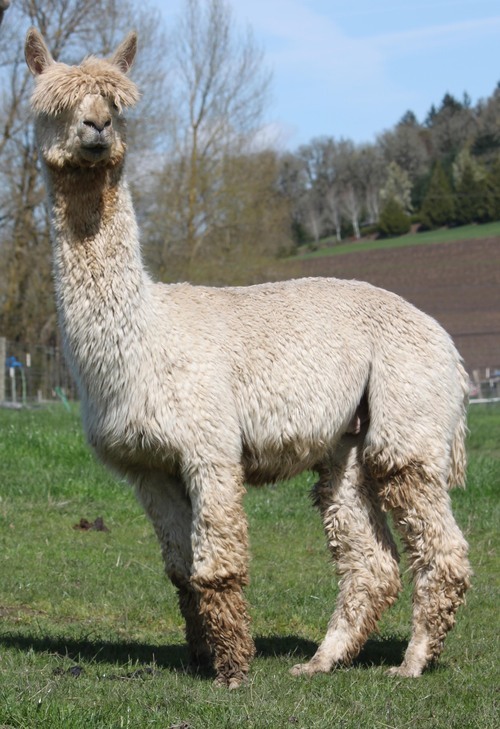 Penelope, a beautiful Peruvian-Alianza import, is the other half to this incredible FULL PERUVIAN, 1/2 ACCOYO, 1/2 ALIANZA herdsire. 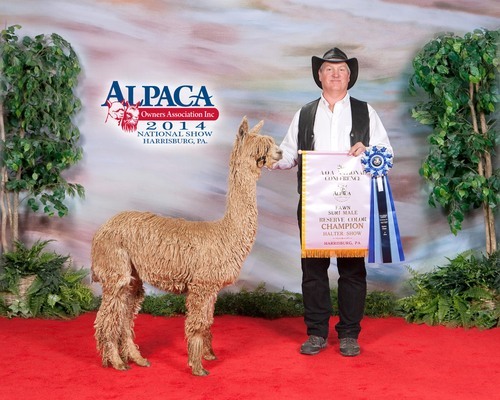 Co-Man won his first Color Championship at MAPACA 2005 at only 6.5 months of age at the biggest alpaca show to date. So far, he has earned a total of Ten-1st places, Eight Color Championships and Two Reserve Championships. 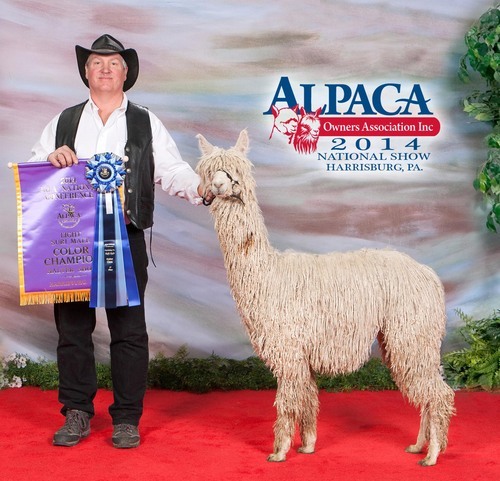 He finished his first show season with becoming Light Color Champion at the 2005 AOBA National. All of this under 19 months of age. He finished in 2006 show year, earning 10 Championships! Our Commandor kids continue to have success in the showring! 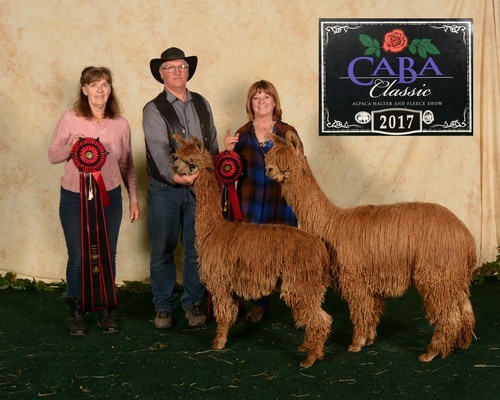 Sir OliverTwist and his full sister, Olivia, competed in the ring for the first ever competition for Supreme National Champion! 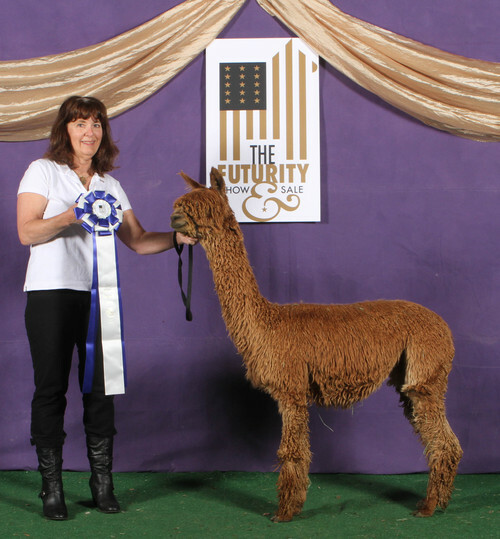 Both of them have earned Judge's Choice twice at large shows! 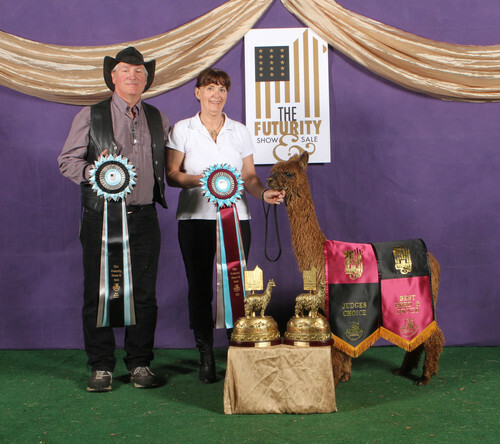 Look out for our future Co-Man kids - they are taking top awards at all shows they compete in including Judge's Choice, Color Champion, Best Bred & Owned, etc. Take your breeding program to a new high with a breeding to this stellar male. Or, choose a female bred to him........!